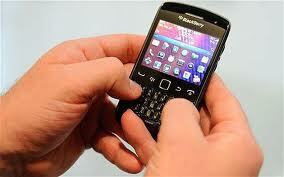 Best Blackberry Handset Mobile Review,: Can BlackBerry Survive? Smartphones continue to generate interest in the consumer market, and new devices launch with regularity. But can a company that once seemed to own the enterprise market for smartphones make a comeback today? With Android and Apple dominating the smartphone market, many are questioning if RIM (Research in Motion), www.rim.com, maker of the once wildly popular BlackBerry, stands a chance. According to the latest worldwide smartphone marketshare numbers from IDC, www.idc.com, BlackBerry’s share has fallen from 13.6% of the market a year ago to a mere 6.4% today. Ronan de Renesse, principal analyst at Analysys Mason, www.analysysmason.com, believes RIM’s main problem is that BlackBerry devices have neglected to satisfy the appetite of today’s media-hungry customers. “Rich media playback experience has taken over physical keyboards in smartphone users’ mindshare,” Renesse says. In fact, according to the analyst’s research, only 9% of BlackBerry users employ the media player, versus 98% for Apple and 56% for Android and Symbian. The other issue, according to Renesse, is that RIM has lost control of the business device and services segment—BlackBerry’s target market. Both Apple and Google have gained substantial marketshare in this market, where they were almost absent less than five years ago. Renesse’s research is based on the report, "Consumer smartphone usage: key findings from an on-device tracker," which he co-authored with fellow Analysys Mason analyst Martin Scott. Using an on-device monitoring app, the analysts conducted a two-month observation of 1,000 smartphone users across the globe. The analysts’ results supported the fact that today’s smartphone users are hungry for media. According to the findings, 75% of panelists used Wi-Fi on their smartphone, and more than 99% of panelists used their mobile browser at least once for an average of 7.5 minutes per day. The analysts also found that email has eclipsed SMS as a more widely used communication method for smartphone users, although just barely: 97% of panelists used SMS, but 98% used email during the two-month period of observation. According to Martin, this raises questions as to whether SMS is sustainable as a chargeable service. Findings also indicate Apple’s media-centric approach is giving it an edge. According to the report, iPhone customers use more data than any other smartphone users, and account for 80% of the top 10% of heaviest data users. One can only hope RIM has considered these market shifts as it finalizes the design of its upcoming BlackBerry 10 mobile computing platform—perhaps the company’s last chance at the fast-growing smartphone market. Last month, more than 5,000 developers, partners, carriers, and enterprise customers saw the first glimpses of the next-generation platform, which is expected to launch at the end of this year. According to RIM’s Heins, the response to the prototype platform has been encouraging, and the company remains hopeful.